Enhance your appearance and your mood by visiting Trendi Salon and Spa. At our Aveda salon in Woodbury, MN, we offer a tranquil, relaxing environment where you can enjoy our signature services in a warm and hospitable atmosphere. We are committed to making your visit pleasurable and relaxing, whether you join us for an hour or for the entire day. Our experienced stylists and beauty technicians give you the results you desire and deserve. If you're looking for a salon and spa that caters to your needs and uses the latest techniques, schedule an appointment with us. We look forward to pampering you. Your hair deserves more than a few simple snips. When you’re ready to change your style, treat your dead ends, or soothe your scalp, we’re here for you. Our hair stylists help you achieve healthy, gorgeous locks from root to tip. Men, women, and children alike turn to us for regular haircuts, bang trims, and extensions. But our services extend far beyond these basics. We also offer styling services for special occasions like proms and weddings, as well as regular and specialty color treatments. Additionally, our professionals can make your skin glow with an array of aesthetic treatments. From the dual exfoliation treatments to services geared specifically toward men, we offer individualized solutions that focus on your problem areas. With our help, you can enjoy fresh, dewy skin. At our Aveda salon and spa, we want everyone to feel at home. To show new visitors that they’re in the right hands, we provide several special offers for your first facial, massage, or haircut. For example, clients can get a free botanical conditioning treatment with their first haircut. Or if our spa services are more appealing, take advantage of a free foot scrub with your first 60-minute facial or massage. Of course, we never forget our loyal clientele. With free scalp massages with haircuts and free hand massages with each coloring service, it’s easy to see why so many people come to our day spa for their skin and haircare services. When it comes to your appearance and image the choice of a hair and beauty salon is an important and personal decision you'll make. How you look and feel is important to us. That's why our entire staff, from the sales and service coordinators to the owner, is dedicated to making your experience the very best--and to give you the results you want. We are committed to delivering the most innovative, stylish, and precise cuts, colors, highlights, balayages, and ombres along with pampering massages, facials, Aveda spa products, and body waxing services. Our staff is driven to exceed the needs and expectations of each and every valued customer and help them look and feel their best. 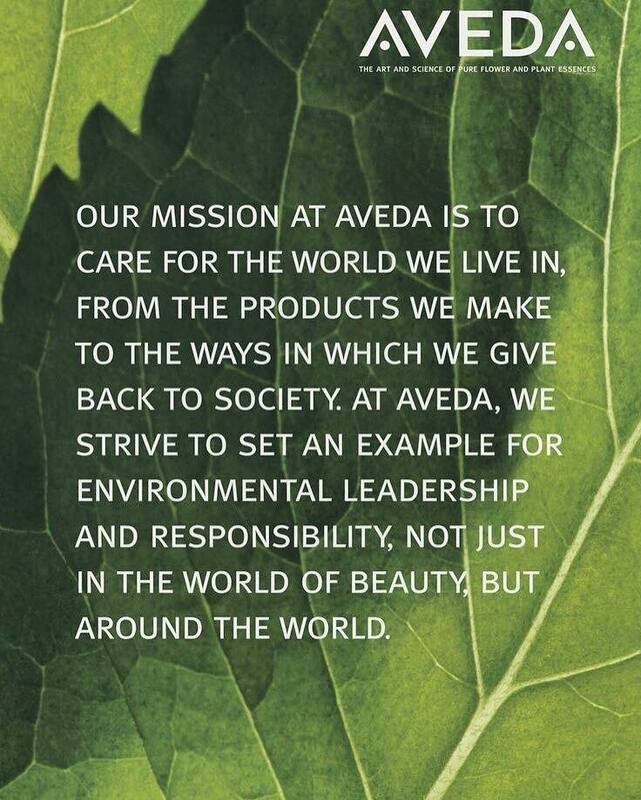 Aveda Salons and Spas are founded on the common mission of caring for you and caring for the world around us. Our salon and spa teams are trained to serve your every need and expertly care for you. During your time with us, you’ll enjoy Aveda Rituals that will relax and transport you, such as a cup of Aveda Tea; a warm, aromatic towel; a sensory journey with Elemental Nature aromas to enliven the senses; a stress-relieving scalp, neck, and shoulder massage; a luxurious hand massage; makeup finishing touch; or a PURE-FUME application to remind you of your day spa experience. Aveda salon professionals are continually educated on the latest trends and techniques to transform your look with styles inspired by the fashion runways from around the world. Our spa professionals also undergo regular training to stay informed of latest advancements in body and skin care so they can practice the art of healing, rejuvenating and refreshing the mind, body, and spirit. Made with organics and natural pure flower and plant ingredients, our Aveda spa products are proven to have powerful results, all while protecting and preserving our environment. Monday, 10:00 a.m. - 8:00 p.m.
Tuesday - Thursday, 9:00 a.m. - 8:00 p.m.
Trendi Salon and Spa is conveniently located just one block from I-494 and Valley Creek Road in Woodbury, Minnesota. We are in the Royal Center next to the original Woodbury McDonald's. There is plenty of off-street, lighted parking right at our door. We are one of the most easily accessible salon and spas in the area.